It is almost Labor Day weekend. I am both sad (prematurely, I know) to see summer start it’s slow departure, and excited for the arrival of autumn. This weekend is going to be quite busy regardless for anyone and everyone in the hospitality industry. If you will be one of the lucky ones enjoying the weekend off, I ask that you consider being as gracious and patient as possible to the servers, bartenders, and chefs working hard to serve you. They are dealing with the arrival of a mass exodus, especially in vacation towns. I will start off with some utensil crushes I have. Yes, I said utensil crushes. 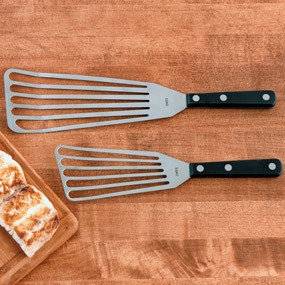 I have an obsession with certain kitchen utensils, just like I am sure a carpenter or mechanic loves certain tools because ever since they discovered it- life just got easier. There also some hilarious, useless, nonsense utensils out there on the market but I think I will save that for another post. You should totally own a Y-shaped or “harp” peeler. Some of you may have this but have tried to use it on carrots and been like, “This is stupid and awkward I hate this.” You’re right. 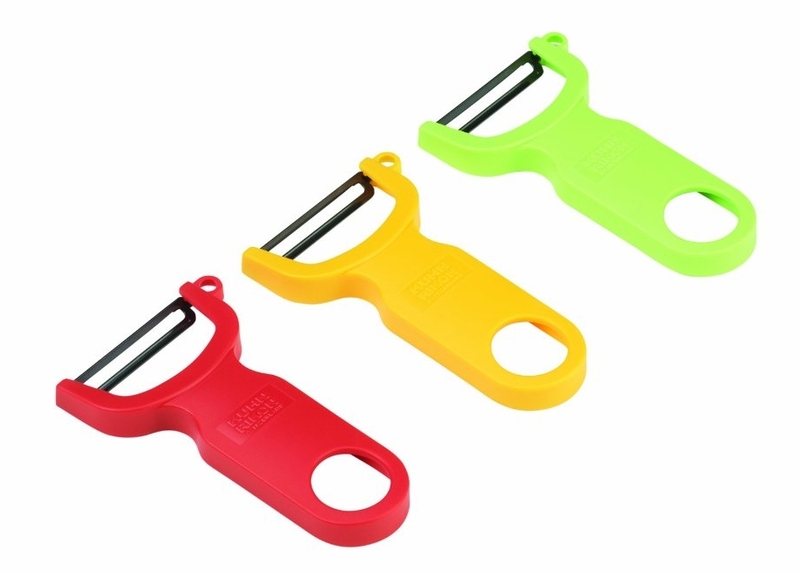 The standard peeler is better for long vegetables while this is ideal for round things. You can cradle it in your hand and turn your victim and peel much more efficiently than hacking away at it repeatedly with a regular stick peeler. Plus, you can revel in the fact that you peeled a potato in one, long, peel. Who doesn’t love that? The unstable cutting board is quickly remedied by folding a damp paper towel and putting it underneath. This is a really crucial tip when you are doing something really aggressive on your board. An unstable board means all your fingers have become 75% more vulnerable. I just made that number up but I am feeling 99% confident that it is accurate. I always keep butter in a covered dish on the counter. Always. I have this pet peeve, and it is trying to spread fridge-cold butter on hot toast. You have to pretty much annihilate the surface of your toast and things don’t g on there evenly, and it’s just sad. You can leave butter out for a week on your counter as long as it’s covered and you have perfect spreadable butter whenever you want. It’s a no-brainer. If you are doubling a recipe, do that before starting. I always re-write the quantities on my recipes before starting. The few times that I have skipped that step, I almost always forget to double one of the ingredients in the process. This is especially crucial for baking. One wrong measurement can cause pretty great grief later on. What I do is re-write the quantities in the margin of the page right in the cookbook. Chances are I will probably need those numbers again, and I won’t lose them! Hope some of these TTMYLE actually do! Happy Wednesday! This entry was posted in Kitchen and tagged butter, cutting board, fish, peeler, recipe, spatula. Bookmark the permalink.